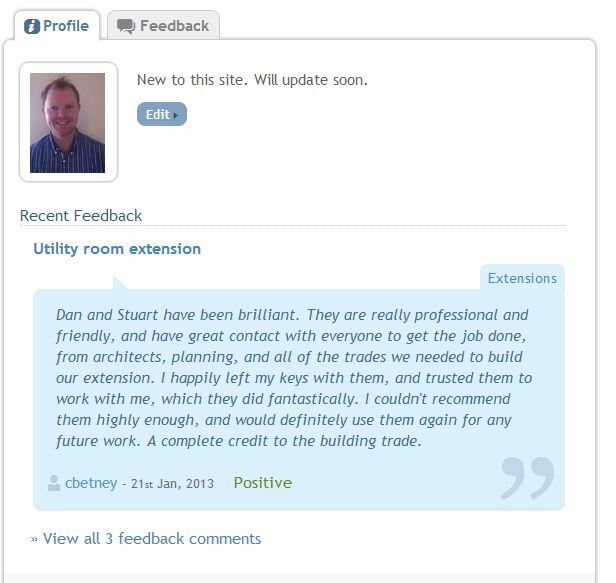 Check out feedback we received for an extension project we recently completed! We recently managed and undertook a kitchen utility and shower room extension on a property in Shillingford, South Oxfordshire. The client contacted us initially through the site Mybuilder.com check out the link. This site allows consumers to contact local tradesmen. It has feedback on work they have previously undertaken. New Looks Oxon were able to help Mr Betney from the beginning by assisting with all the planning and building control requirements. We provided an estimate on costs early on with a worse case scenario for what was discussed. The project was scheduled to suit the clients needs and a strict deadline was in place. We completed the project in approx 9 weeks which meant we had time to spare. So why not contact us to see how we could help you.